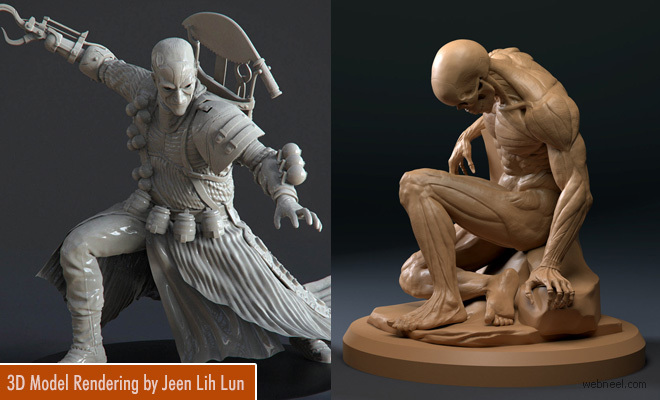 3D Models: Jeen Lih Lun is a 3D Model and 3D Character artist from Vancouver in the fast moving game industry. She has worked on 3D Models in Devil May Cry, Disney Infinity 3.0 Star Wars and Silent Hill: Shattered Memories. She is well experience in 3d Model creation, sculpting, cloth simulation, texturing, lighting and rendering characters. According to her biography, "I devote a lot of time into traditional pencil drawing, focusing on portrait and capturing the essence of the character. It helps strengthening my observation skill and attention to details. I love to work as a team and I believe that team spirit is very important because that is what brings the team together to make something amazing and inspiring to everyone, including ourselves. I love to share my knowledge with others; likewise I like to be inspired and learn from people around me too".